Wi-Charge, provider of long-range wireless power technology that can charge a phone from across the room, announced today an innovative Wireless Power Kit that transforms – within minutes – an existing wired Amazon Echo Dot or Google Home Mini smart speakers into a beautiful, fully functional, wire-free product. The transformed product can be placed and used anywhere without cables or proximity to a power outlet. Once the smart speaker transformation is complete, there are no wires. Consumers are not asked to change the way they use the product. Instead, they gain dramatic new freedoms on placement options. Previously, one needed to place the speaker near a power outlet and then route or hide the power cord. With the Wireless Power Kit, that is no longer a problem. The smart speaker can be on a table, hang on a wall, or work practically anywhere in the room. Wi-Charge also announced today the "Powered by Wi-Charge OEM Program," a new program aimed at helping select partners bring wirelessly-powered products to market. Such products might be wireless smart home speakers, home security devices, phone charging solutions and many additional innovative products that were previously constrained by battery power or power cords. "Our award-winning Wireless Power Kit demonstrates the possibilities of converting popular smart home devices into completely wireless products," said Yuval Boger, Chief Marketing Officer, Wi-Charge. "Our new 'Powered by Wi-Charge' OEM package includes, in our opinion, everything a partner needs to bring a wirelessly-powered appliance to market." For a second year in a row, the company has been selected as an CES Innovation Award recipient. 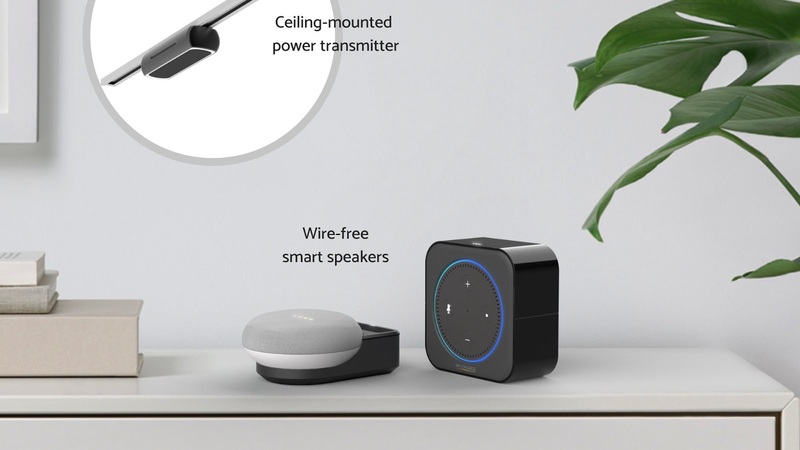 Recognized in the Home Audio/Video product category, Wi-Charge's Wireless Power Kit for Amazon Echo and Google Home will be on display in the Innovation Awards Showcase at CES 2019.